This was a very gift - gave as xmas gifts to coworkers. However, i expected it to be bigger. Will be using it for a Christmas luncheon for a Ladies golf league. Can't wait to see the Ladies response. Used as favors at a corporate event! I work as an event planner and we used it as a favor for the guests who went to the spa. It was great becuase it was in our price range and it made a great impression on the guests. 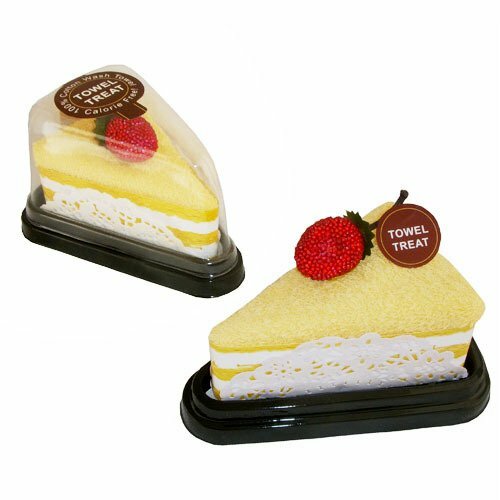 A:These towel cakes are not able to be personalized, but we do sell personalized labels on our site. You could purchase labels and place them on the favors. Cherry cheesecake has been discontinued. Ready for some good, clean fun? Your guests will laugh with glee when they see these fabulous towel cake favors. Each delectable 'dessert' is really a fluffy hand towel folded to look like a tasty treat. These unique, practical gifts are perfect as holiday party favors and christening/baptism favors. Best of all, they're calorie-free! 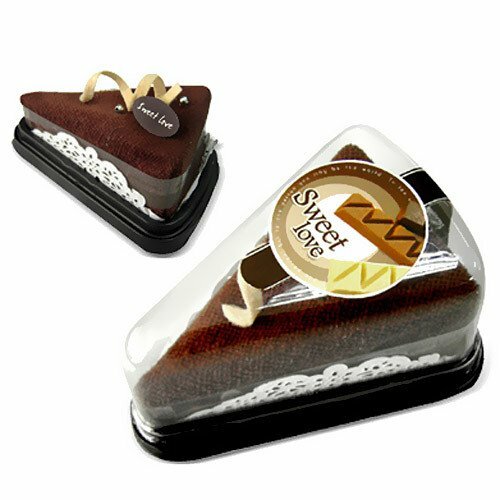 Purchase designs individually or in the following assortments:Delightfully packaged cake designs measure approximately 4-5". Towels are made of 100% microfiber and unfold into 8" x 8" hand towels. Don't just tease your guests with inedible delights! Pair each towel cake with equally mouthwatering-yet fully digestible-holiday petit fours or customized cookie treats.